relationships: crucial to resilience | doberman pizza. Humanity is no stranger to adversity and suffering. Maybe it’s due to my own growing awareness of world events, but since the turn of the 21st century, it seems like the world has been confronted with an ever-accelerating chain of shocks—ever more frequent, ever more varied and costly ones. Natural disasters like Hurricanes Katrina and Sandy, or the tsunami in the Indian Ocean and off northeastern Japan, or earthquakes in Iran, Kashmir, China and Haiti. Widespread droughts in places like the Western United States and the Sahel, threatening food security and human well-being. Growing social unrest and terrorism, resulting in the deaths of innocents everywhere—from the Middle East to Virginia Tech and Sandy Hook. In the face of such enormous suffering, one thing we often end up doing is shutting it out—changing the channel rather than thinking about it. But what happens when our neighbourhood is the one that’s flooded, shot through, or reduced to rubble? Resilience is the quality of being able to bounce back from crises, to recover quickly from adversity. When tragedy strikes, resilience helps us to regain hope, recover our strength, rebuild our lives and move on. Very often—if not always—resilience depends upon strong family and community relationships. If we are surrounded by support from family, friends and neighbours who are looking out for our well-being, we have a better chance of weathering a crisis. 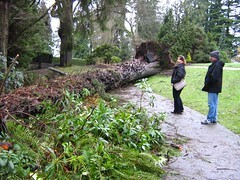 I witnessed something of this in action after Quynh’s father passed away in August 2010. Summoned to return much earlier than intended, I arrived in Vietnam two weeks after his passing, to find the grieving family—especially his beloved wife—in tears. Around them, close family, friends, neighbours and concerned well-wishers circled, first offering words of solace and support, then drawing back to allow time for grief to run its course, then returning when the time was right. 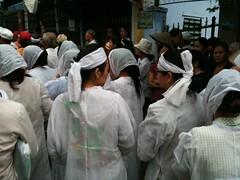 At several points during my visit, they gathered at the family home for memorials, to burn incense and offer prayers. These memorials, I learned, were no mere expressions of superstition. Rather, they were signs of solidarity, and a way of providing structure for and sustaining the grieving family. I did my part as a Vietnamese son-in-law, taking up basic tasks to support the family, and in doing so, became part of a network that helped them recover from their pain over the months and years that followed. If that network wasn’t there, or if it wasn’t strong, what would have happened to the family? Nothing good, that’s for sure. But because the community was united in their concern for each other, they rallied around our family, visiting them and helping them to recover from their loss. Author Sarah Goodyear addressed the importance of community resilience in The Atlantic not long after Hurricane/Superstorm Sandy hit, and I found her thoughts confirmed a lot of what I already suspected about the importance of building relationships with people in our neighbourhood. Goodyear cites sociologist Eric Klinenberg’s analysis of the 1995 Chicago heat wave, which compared fatalities in two adjacent, largely identical neighbourhoods: Englewood, with 33 deaths per 100k inhabitants; and Auburn Gresham, with 3 deaths per 100k. The decisive factor that set the two neighbourhoods apart was their social cohesion—the strength of the relationships between neighbours, and the sense of mutual concern that drove them to take care of each other. The people of Englewood were vulnerable not just because they were black and poor but also because their community had been abandoned. Between 1960 and 1990, Englewood lost fifty per cent of its residents and most of its commercial outlets, as well as its social cohesion… Auburn Gresham, by contrast, experienced no population loss in that period. In 1995, residents walked to diners and grocery stores. They knew their neighbors. They participated in block clubs and church groups… [D]uring the severe heat waves that are likely to hit Chicago and other cities in the near future, living in a neighborhood like Auburn Gresham is the rough equivalent of having a working air-conditioner in each room. That last sentence especially impressed me, and made me realize that social cohesion—unity, in other words—is like a form of social insurance. The more united and interconnected are the communities we live in, the safer they will be for all their inhabitants. To illustrate this in a different way, we can think of communities as trees. The more interconnected and united are the members of a community, the stronger and deeper are the roots of the tree. As ‘Abdu’l-Bahá said, “trees which are deeply rooted, strong and sturdy, are not uprooted by the most violent tempest—therefore they produce leaves, blossoms and fruits.” I suppose that’s one thing that’s inspired me lately to deepen my relationships with our neighbours lately. It also confirms for me the value of what Bahá’ís are doing around the world: educating children, empowering youth, gathering friends together for prayers and study to deepen their spiritual connections and increase shared understanding. It gives me a lot of hope for humanity to know that, no matter what social or environmental crisis may arise in the future, taking simple steps like these can help our communities to lay down strong roots that will help them to recover and rebuild more quickly and easily—all the while weaving us closer together, regardless of age, gender, race or culture, to help us realize our common humanity. Top photo: hanoi floods – aftermath by Martino’s doodles. CC BY-NC-SA 2.0.